In 2016, Ceva Australia committed to sponsoring the training of an assistance dog in partnership with Assistance Dogs Australia. From the outset, Ceva staff were fully onboard; they held a competition for the honour of naming the golden retriever pup – the winner chose Lola – and closely followed progress throughout the two-year training period and beyond. Now fully trained, Lola has a full-time role as an assistance dog at North Gosford Training Centre, a special school that caters for children aged 10-16 years with a history of behavioural difficulties or emotional disturbances. 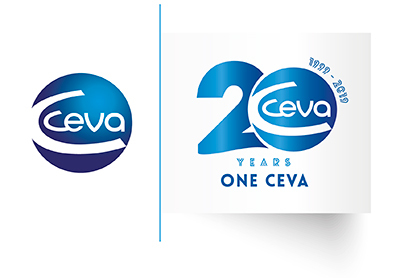 Proud of the part they have played in enabling Lola to be trained, Ceva Australia is now looking for ways to extend its relationship with this inspiring charity. We chose Assistance Dogs because it was nicely in line with Ceva’s focus on human- animal interaction. Since 1996 the charity Assistance Dogs Australia has been training and making available assistance dogs to people living with a wide range of disabilities, thereby providing them with greater freedom and independence. To date, over 200 dogs have been provided by the charity, entirely free of charge, to both individuals as well as care institutions and special schools. With each dog costing over AUD 35,000 (USD 27,500) up to the point it is placed with its new owner, Assistance Dogs relies entirely on donations to fund its vital work. We will certainly sponsor another dog, but we are also talking to Assistance Dogs about how we can maybe help them use Adaptil® to support the training and help with some of the stress these dogs encounter during their day-to-day lives. Mother dogs communicate with their puppies through natural messages released into the air. These “comforting messages“ are scientifically called Dog Appeasing Pheromones. These canine odourless messages are only perceived by dogs, not people or cats and provide a strong signal of security and comfort to puppies and dogs of all ages. Adaptil® helps dogs feel calm and relaxed, especially in challenging situations. There is growing evidence that animal-assisted therapy can aid in the treatment of children with Autism Spectrum Disorders.